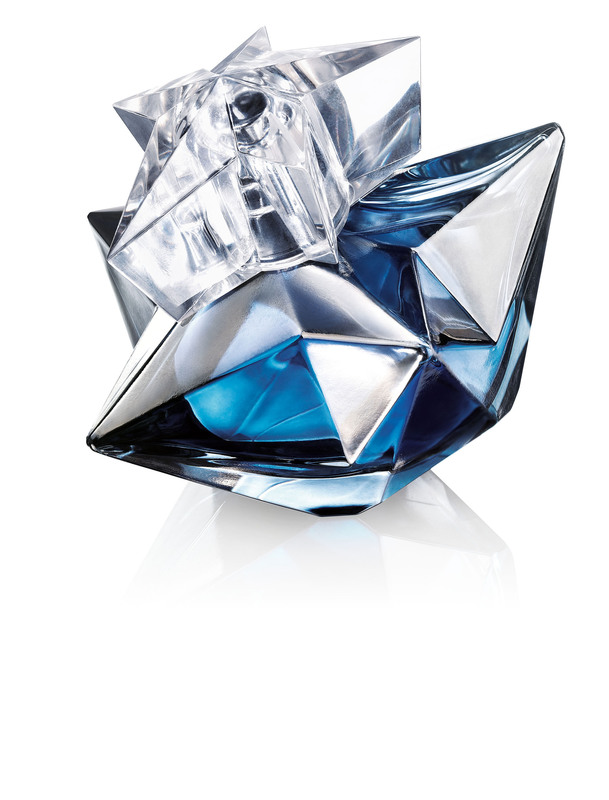 I make no bones about the fact that Thierry Mugler is one of my all-time favourite perfume brands. Their signature perfumes – Angel, Alien, Womanity, Cologne and A*Men – all have a very special place in my collection and are so befitting of the style of perfume I love, they almost feel as if they were created for me – although I am entirely aware that they were not. Once a year Mugler treats us all to a special collection of fragrances – four unique takes on their existing signature fragrances. The familiar accords of these perfumes are twisted and remixed to include an ‘enhancer’ that presents them in an entirely new light. Over the last few years the likes of Angel et al have been reshaped by leather and gourmet ingredients to name just a few. 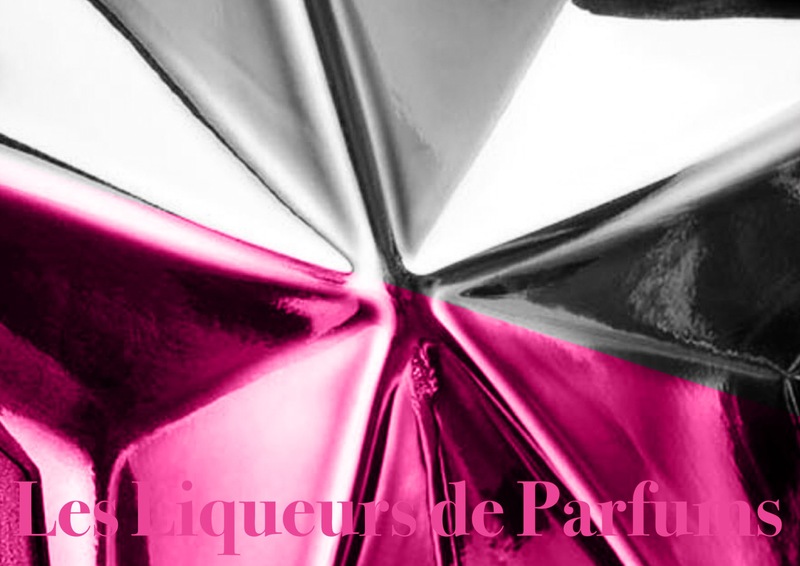 This year’s collection – ‘Les Liqueurs de Parfums‘ – sees the famous Mugler fragrances imbued with equally well-known liqueurs and is a sidestep for the brand, having already released alcohol-inspired versions of Angel, Alien and A*Men in 2009. The difference with this collection, however is that the wooden casks each fragrance has been aged in were warmed up and toasted to add a brand new facet to these boozy ‘fumes. Angel tends to take on the additional enhancers that Mugler throws at it pretty well. With the foody ‘Le Goût du Parfum‘ edition it was presented as a ball of delicious ganache rolled in bitter dark chocolate powder and for last year’s ‘Les Parfums de Cuir‘ version it became a gorgeous Mugler handbag scented with Angel. It is no surprise then, that in ‘Les Liqueurs de Parfum’ Angel absorbs the darker facets of cognac to create something really quite spectacular. This is the Angel for those that find the original too sweet – for those that can’t quite get past the candy floss wig and hair spray that makes Angel the devilishly wicked and whimsical diva that she is. It’s not toned down per se, but rather rebalanced to present an alternative take on the Angel DNA. Adding a hint of booze-soaked cherry and wood smoke, Angel Liqueur de Parfum may play down the scent’s more girly facets but it preserves the butch, bearded stokes that make the original so iconic. She’s still an olfactory drag queen – a gigantic bedazzled glamazon – but on this occasion our beloved queen Angel has neglected to shave her stubble. Alien has been transformed into many extra-terrestrial guises over the years, and with each interpretation it has embodied a more gourmand and plush character. The trajectory from the original Alien EDP in 2005 to the glory of 2012’s Alien Essence Absolue, with all the others in between, shows that when paired with foody notes such as caramel and vanilla, Alien becomes an entire galaxy of wonder. This version of Alien possesses a golden quality with iridescent flashes of grapefruit and pineapple in the opening. All-in-all it is much brighter than the Liqueur de Parfum version released in 2009 and it is this use of glittering light that makes for an entirely more enjoyable experience overall. Rum and vanilla are the star ingredients here and they work very well together. Both notes bring out something sour and almost animalic in Alien’s jasmine core that errs on the side of mischievous as opposed to full-on filth. As it dries down, Liqueur de Parfum leaves a trail of cherry-soaked vanilla that possesses a wonderfully bitter and almost anisic quality, rounding off this Alien as a rather irresistible little beast. Womanity, in its standard format, is a work of art. Sure it’s stark raving bonkers (and loud with it) but it is exceptional in the sense that it is something entirely new and doesn’t fall in to the trap of being weird for weirdness’ sake. It’s also incredibly divisive and in the relatively short time it has been on the market it has managed to surpass Angel in terms of being both adored and shunned. To me, Womanity always comes across as a sparse composition, meaning that every one of its bold elements – figs, seawater and shortbread – occupy a large space, in which they have the room to diffuse. For Womanity Liqueur de Parfum however, these spacious gaps have been filled completely. The filling here is a delicate fig cream that has been whipped up into a soft and fluffy state. Coloured in a light shade of baby pink, this creaminess also has a touch of something nutty (pistachio perhaps) as well as a sprinkling of warm mulled spices that add a surprising, gritty texture, with which the smaller gaps in Womanity’s spacious sillage can be densely closed. Womanity Liqueur de Parfum is easily the least boozy scent of the bunch and the link to vodka (an alcohol that isn’t exactly well renowned for its strong odour) is tenuous at best. Still, this ‘fleshed out’ Womanity does smell pretty good but it doesn’t quite match the fullness of the spectacular ‘Le Goût du Parfum‘ version from 2011, nor does it have the delicate brashness of the original. I’d file it neatly under the category of; ‘nicely done but not necessary’. A*Men Pure Malt (originally released in 2009) is already somewhat of a cult classic, a fact which makes sense when one considers that the original is easily a classic in its own right. Pure Malt, in both the 2009 and 2013 versions, removes all of A*Men’s rough stuff – there’s no bracing mint, no atomic lavender and definitely no black, gooey tar. What remains is the sweet and sour quality of coffee, caramel, vanilla and whisky. This 2013 version is reported to be smokier than the previously released edition but is in fact, very similar. That said, the vanilla has more of a plastic feel (it’s pliable and almost chewy – in a good way) and there’s a greener vibe to the whole thing that verges on peaty but never quite makes it. This interpretation of A*Men, whilst not being entirely new (really the differences between this and the 2009 Pure Malt are minimal) is a satisfying fragrance to wear, but it doesn’t appear to be as fully worked out as either Pure Leather (from 2012) or A*Men Le Goût du Parfum (from 2011) due to the simple fact that it lacks that discordant edge that gives the original its distinct signature. As with all of the Mugler collections each of the fragrances within ‘Les Liqueurs de Parfums’ smell pretty nifty and they are all very nicely put together. Luckily for Mugler the original compositions of all four fragrances are so expertly made that a little bit of tinkering is unlikely to make for anything bad at all. Despite the fact that they are all good perfumes, I can’t help but wish that Mugler had brought something brand new to the table with this collection. After all, we’ve seen this theme played out before and it would be great if next year we could see an excellent new idea – I for one know that they’ve got it in them! Angel Liqueur de Parfums is available in 35ml Eau de Parfum (£40), Alien Liqueur de Parfum is available in 30ml Eau de Parfum (£40), Womanity Liqueur de Parfum is available in 50ml Eau de Parfum (£40) and A*Men Pure Malt is available in 100ml Eau de Toilette (£45). The official launch date in the UK is 01 October 2013 but I believe Selfridges has them on sale now. Samples, images and quotes via Thierry Mugler. Posted in Feminine, Floral, Fresh, Fruity, Gourmand, Masculine, Oriental, Perfume Reviews, Thierry Mugler, Woody and tagged A*Men, A*Men Pure Malt, Alien, Alien Liqueur de Parfum, Angel, Angel Liqueur de Parfum, Feminine, Floral, Fresh, Fruity, Gourmand, Les Liqueurs de Parfums, Liqueur de Parfum, Masculine, Oriental, Perfume Review, Thierry Mugler, Womanity, Womanity Liqueur de Parfum, Woody. Bookmark the permalink. It does seem a shame that they didn’t come up with something original but I guess they are a mainstream brand after all. The Angel liquer does sound appealing though. Don’t get me wrong, they all smell great – the Angel (really worthy trying) and the Alien especially, but it is a bit of a side step. A very well-balanced review, as ever. BRAVO Thomas! A most excellent and entertaining review! Being the Angel FREAK that I am…I can only comment on her newest incarnation. I have been wearing it for 3 days now and I’ve noticed some very delightful differences! Firstly 2013’s creation is not as abruptly sweet as 2009’s. It is more like 2007’s La Part des Anges…and even more like Caprice de Star when the good people at Mugler started experimenting with the cherry wood barrels and macerated for 32 weeks! That being said…..The toasting definitely added a smoky mellowness to the patchouli and the vanilla/honey aspects of our devine diva! I was expecting a smoky bar room effect….but its much more like cinamon bread in the toaster….as opposed to it plain….the toasting really does make all the difference in the world! I remember the Les Part des Anges being utterly fantastic but I only managed to try it in passing. Your description of cinnamon bread in the toaster is very lovely! Flashback to 2009. I will anticipate next year. Leather, Liqour again. What next? Has this house done Oud yet? Maybe that next? Maybe Magnolia? Ha! I would love to see the Oud flankers of these! Or maybe the pink pepper and gardenia versions :-). I wonder if oud would work with the Muglers or being awful? I don’t think there’d be any middle ground lol! Those little Aliens seem to reproduce at a phenomenal rate. I must have about 6 now. My favourites have been the Taste of Fragrance and Essence Absolue versions. I’m not complaining about absence of originality. My main complaint is: why wouldn’t they release yearly a set of four 5-10 ml bottles in the collection?! I’m fine with the original perfumes, I have no use for full bottles of flankers (though I still bought Angel ToF 😉 ). It would be nice to have a ‘taster kit’ of some sort wouldn’t it? I was real excited about these as I luv the idea of toasted/smoky notes as an addition. But it seems from what you’ve written that these seem rather subtle. In fact you’ve given the impression that they’re mostly superfluous really. (Is that right ??) Or at least especially if one already has one of the previous. … Which is your fave out of these ?? You’re London based aren’t you Jules? Pop down to Selfridges for a sniff! I’ve not heard about Mr. Mugler stepping down. I could ask though, if you like? 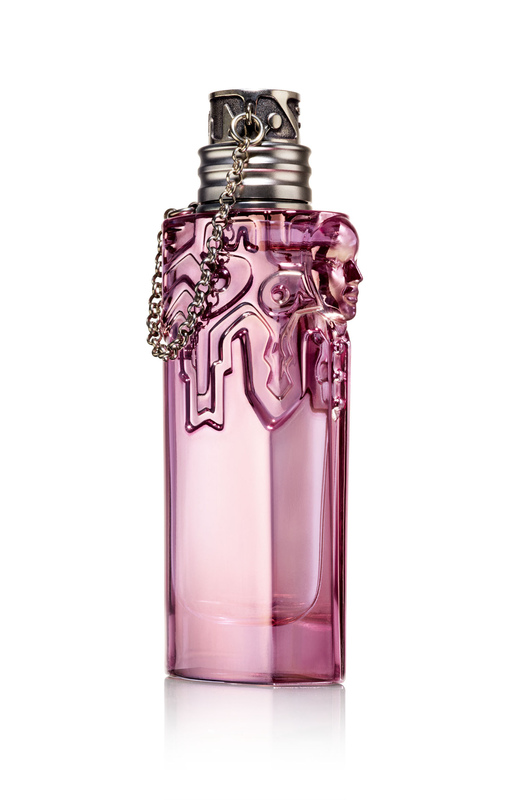 I have heard that they are bringing out a brand new feminine fragrance for March 2014. Is this true Thomas?? If so, I’m very excited! I haven’t heard that antqueen, but I certainly hope it’s true!